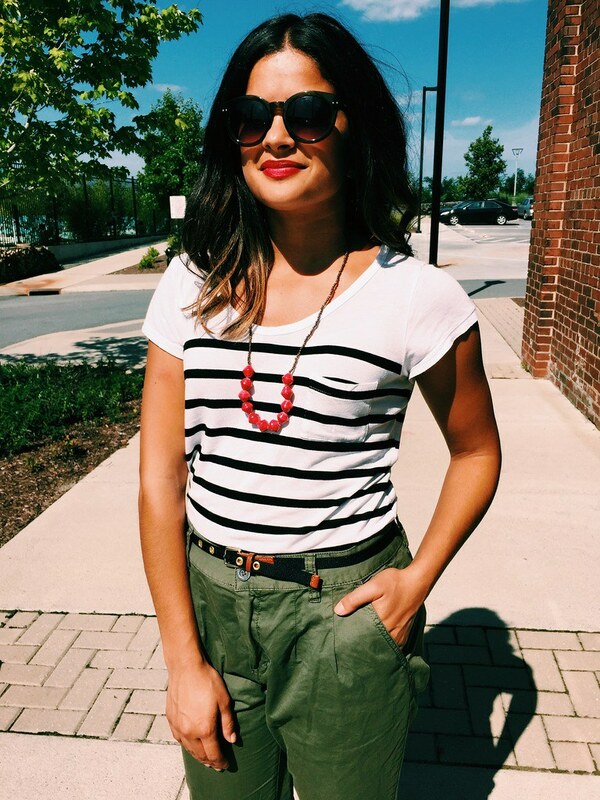 bright stripes | Priya the Blog | life & style in Nashville & beyond! I love those pants!! Can I please steal them from your closet?! I don't think they look weird at all! Girl, half of my clothes photo weird! And it doesn't help that I take my pictures at the end of the day, so they're usually all stretched out and wrinkly! I love this outfit on you though! I think you have the perfect body shape for those pants. I could imagine them looking awful on someone shaped differently, but they were made for you! Girl, I'm with you... I shopped online this morning and totally blew my monthly budget! Online shopping is just plain dangerous! haha. Aww thanks Danielle! That's another blogger problem, taking photos at the END of the day when you've been wearing an outfit all day! I always spill something on myself. Hahahaha this post made me laugh. I HATE how my green jeans photograph around the crotch. They give that area the weirdest shape. I swear they don't look that bad in person, at least I hope not! Love this combo with your striped tee. Don't you have a dress in the exact same pattern, color, and shape as that tee? I thought you were being creative wearing it as a shirt at first! So what all did you buy?? I LOVE this outfit! Isn't funny how some of our best looks come together when in a hurry? ?